The endless circling to find parking. Black Friday is an American institution — and for good reason. Commerce is king, humans like to save money, and Black Friday marries those two together unlike any other date on the calendar. But over the last handful of years, something has come along and revolutionized the way smart shoppers experience Black Friday. You’re probably thinking: online shopping. And you’re right, generally speaking. But I’m talking about a particular type of online shopping — the kind that doesn’t make you wait a couple days to receive your item, and the kind that doesn’t make you trudge back to the post office (more crowds! more lines!) if the item isn’t right and you have to return it. Online shopping for digital products. Which could not be easier. You shop from the comfort of your computer or mobile device, and you receive instant access to your product. Bottom line: Black Friday is just so much more enjoyable and efficient when digital products are involved. That’s why we enjoy delivering a fantastic discount on our own digital products every year when Black Friday rolls around on the calendar. And yes — the discount will include the Pro Plus All-Theme Pack, which gives you immediate and unlimited access to all current and future StudioPress themes. 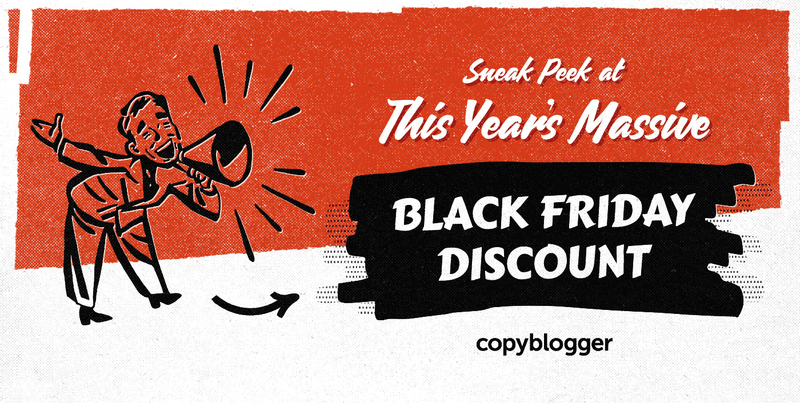 So you could, theoretically, cover all of your current and future WordPress theme costs with just one heavily discounted Pro Plus Pack purchase this Black Friday. Or you could cover the theme costs for someone else, because the Pro Plus Pack (or any individual theme) can definitely be given as a gift. And a thoughtful one at that. Oh — and we won’t even make you wait until Black Friday to get your discount. Our Black Friday sale begins two weeks from today on Tuesday, November 21, 2017. We’ll post another announcement when the discount is live. Be on the lookout for that. And if you’re not on our email list already, now would be a good time to sign up, as we’ll send a reminder email out on the 21st with all the details. We look forward to helping you save money, time, and sanity this Black Friday. This is an insanely great deal on insanely great products, especially the Pro Pack! If you have more than one project in the works, The Pro Plus All-Theme Pack is by far the smartest solution out there. And November 17th is the smartest time to grab it.